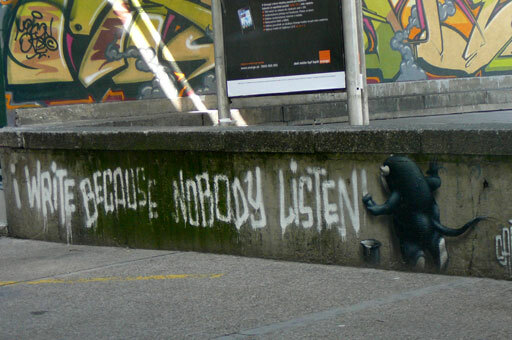 Music , art, street performance was to be found in every city. It gave vibrancy and life, lifted moods and revealed just how creative people are and need to be able to acknowledge, nourish and give expression to that spark with which we are all gifted. It is an important and vital form of communication. Art in its many aspects enlivens, sustains and colours our lives and sense of well being. It is necessary as a means of communication and also to attempt to understand better our own psyche and the human condition. It is a way of reaching out and reaching within. It teaches. shares, inspires and motivates. A sense of awe and wonder, a good belly laugh, clapping hands to a rollicking tune, a beautiful object , dance, poetry and song, a soft touch, all make us appreciate and enjoy life more fully. 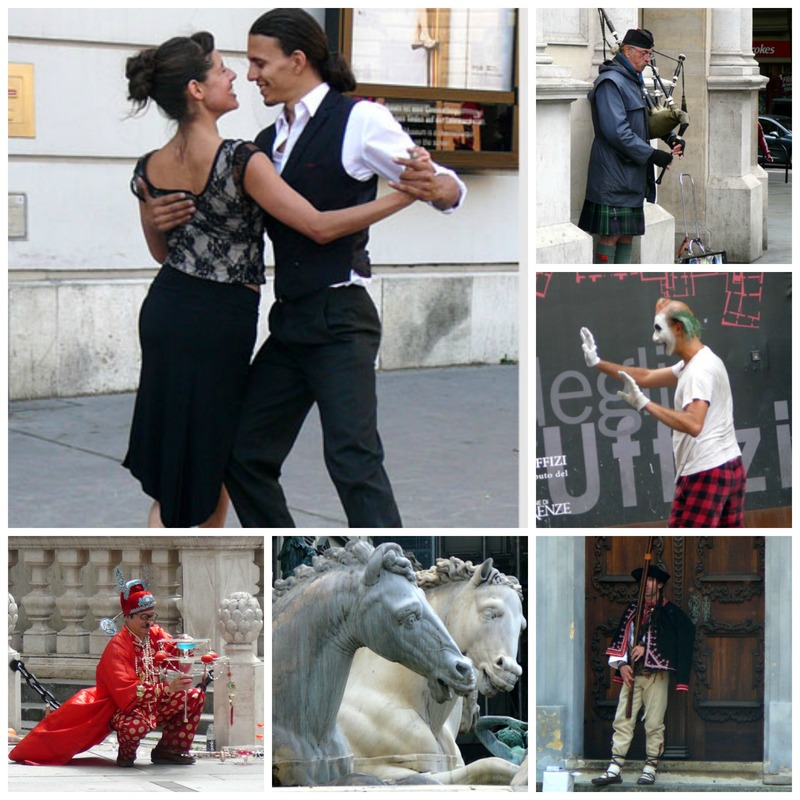 In delight as we journeyed through England, Ireland and Europe we discovered not only music but street theatre, mime and pavement art as well as dance and sleight of hand. Drums and pipes and guitars played. 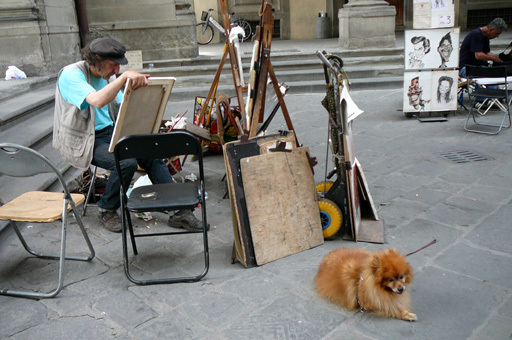 The tango was strutted out across a city pavement, a juggler amused his audience and an audacious, cheeky and very talented mime artist in Florence held his audience enthralled and begging for more as guffaws and snickers filled the square. Afterwards a classical guitarist entranced the crowd further. 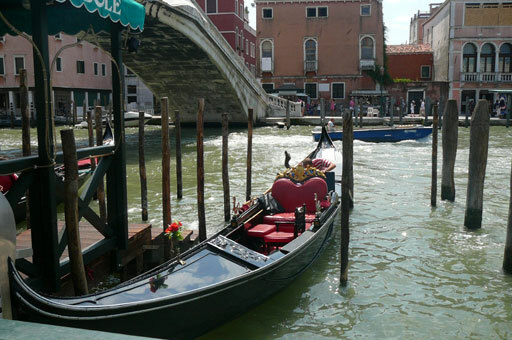 In the canals of Venice there were gleaming gondolas ,many lavishly decorated and sumptuous to see. The towers, shutters, cupolas and the flaking paint on old buildings all added charm. Older cities have such wonderful hand crafted buildings , revealing that many skills have been lost and often no longer appreciated. 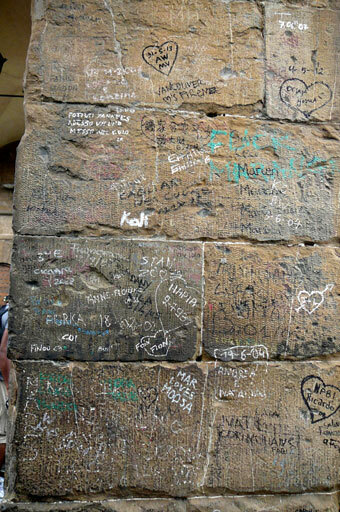 It amazed me to see graffiti in historic precincts and on important structures, such as the Ponte Vecchio that straddles the Arno river in Florence. It actually shocked me to realise and to feel that there was no appreciation and no respect, no understanding of the importance and value of preserving these monuments for future generations. There were warning signs about fines for defacing public monuments and artworks but it seemed that in many cities there is an undercurrent of disillusion and disconnection. There the expression of art as tagging and vandalism perhaps is a counterpoint. Maybe by defacing structures people are revealing their frustration and inadequacy to communicate in other ways, which perhaps they feel gives their reactions relevance and validity which this poignant statement found in Bratislava suggests. http://www.artisaway.com/category/artists/adults/ That littlest wool girl is so adorable. Thank you for transporting us to another world,it is sad that people deface wonderful art,it happens here at places like the Burrup,Dampier archipeligo,Western Australia where the oldest rock art in the world is being bulldozed aside for mining.However the last statement on the wall is a lightyear from the aforementioned disrespect!